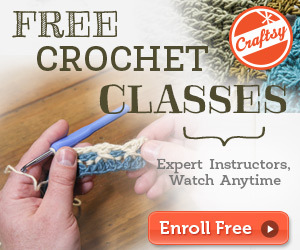 Are you an avid crocheter looking for new and different patterns? We have them here! Visit the shop to browse through our pattern selection. Or click on the links in the menu bar above to browse by categories. Don’t forget to grab your free patterns while you’re here! We have lots of crocheted purses made up and ready for sale! Visit my Etsy store to browse my selection of items that are crocheted up and ready to ship! Crocheted purses make great gifts! Thirty-four years ago, an extremely patient, saint-of-a-woman taught me and ten or so other 8-year-old girls to crochet for our Bible School craft project. Somehow, that teacher retained her sanity and I retained a love for yarn. I took to the hook and have been crocheting ever since, making everything from doilies, to baby clothes, sweaters and footies, hats and scarves. After 20 years, I abandoned patterns and started experimenting with my own designs. My purse patterns have become, by far, the most popular items I have designed. I bought a roll of unusual cord one day and decided to play around with it. I ended up with a small purse that my friends and family oohed and ahhed over. I made a few more as gifts, which led to requests and a small business making and selling them. They are easy and fun to make and always well received as gifts. I can no longer keep up with the demand so I’ve decided to share the patterns with the world and let you make your own. You won’t regret it. On second thought, maybe you will when you see how much your girlfriends and sisters love these little purses. They won’t let you rest with their begging for more of these hand-made treasures. Other items that have been popular with my test subjects … I mean, friends and family … are my fashion patterns, and home decor items. I am getting all of my favorite patterns ready for you to experiment with. I hope you and the recipients of your crochet talents will enjoy!